Sand Blasting is also known as abrasive blasting is the operation of forcibly propelling a stream of abrasive material against a surface under high pressure to smooth a rough surface, roughen a smooth surface, shape a surface, or remove surface contaminants. A pressurized fluid typically compressed air or a centrifugal wheel is used to propel the blasting material (often called the media). 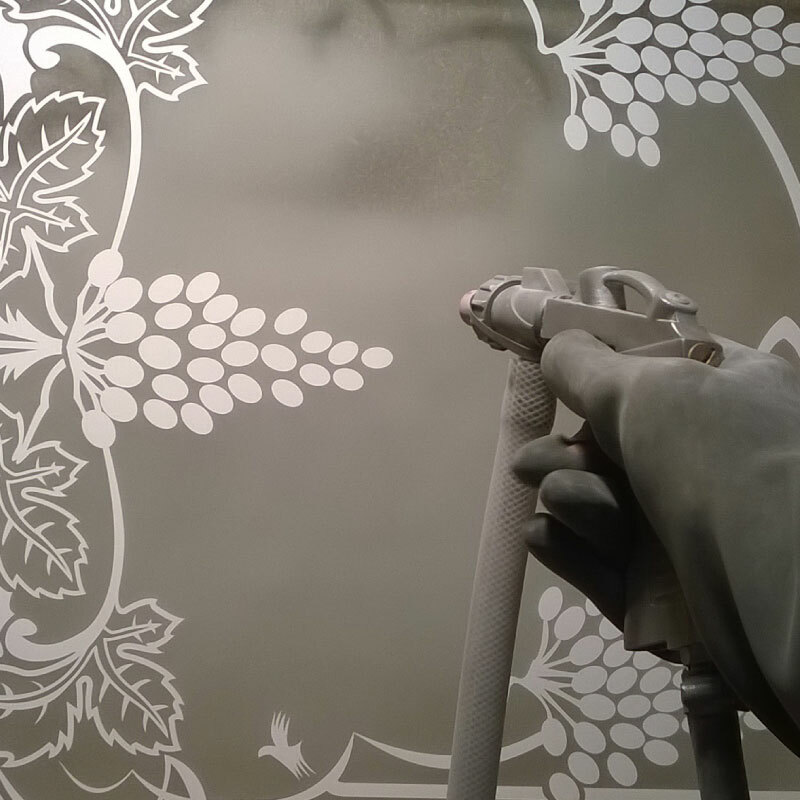 Sandblasting, when used with an appropriate stencil can be used to create matt designs on glass or on bright metals.